Daily refill for Burkhart's Day Counter makes it easy to stay on top of finances plus each day's events and appointments. Complete financial calendar counts days forward in 30-day periods for a year. Use pages to compute interest, elapsed time on notes and maturity dates. Dated refill ranges 12 full months from January to December and includes monthly tabs, call-loan table, monthly loan table, 30-days period table, three years of advance planning, and U.S. Federal and Canadian holidays. Each month is represented by one tab for easy date referencing. 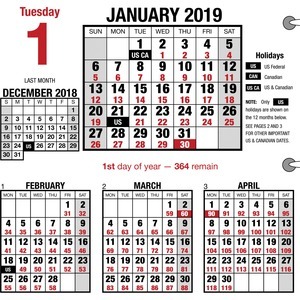 Each two-page-per-day spread includes a previous month block on every page, count of days/days remaining, and a full-year reference. Half-hourly appointment times range from 8 AM to 5:30 PM. 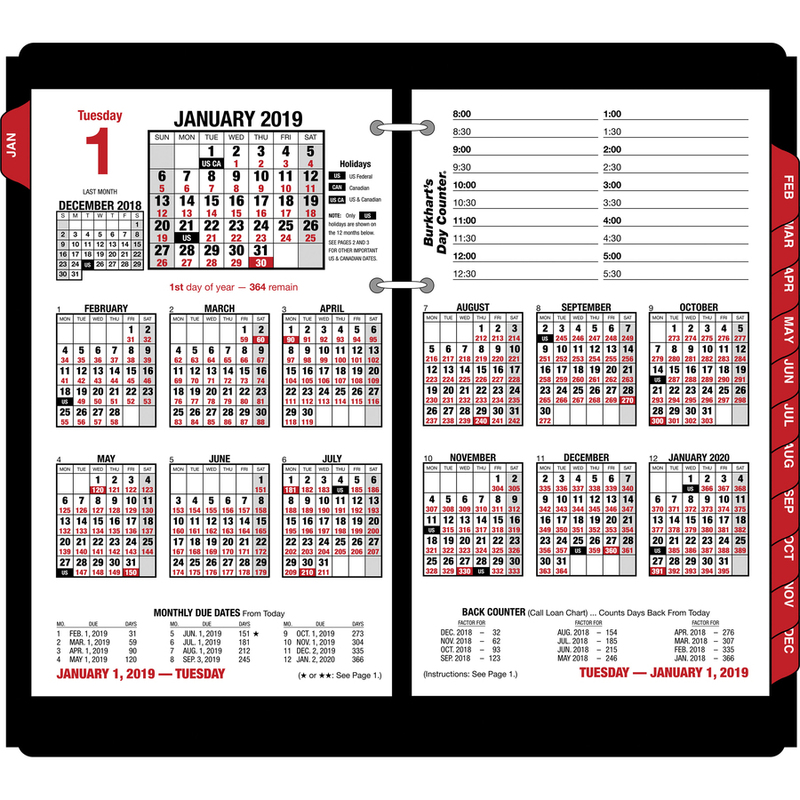 Two-hole punched calendar refill fits two-ring, E21-style bases.